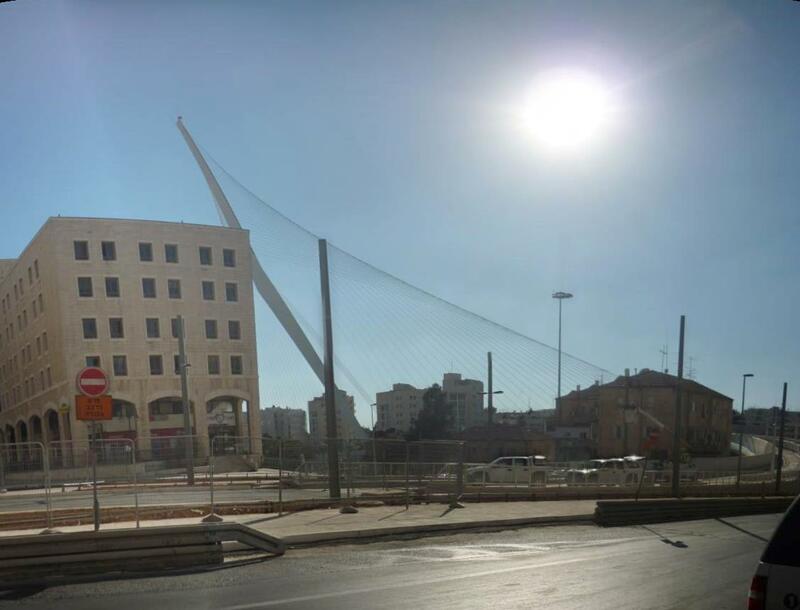 This is the King David Harp bridge, which is almost finished. When I say its almost finished, the bridge carries the lightrail train which is very behind schedule. The structure of the bridge is all fine, just the rails and the overhead electric system is not operational. You can see that the trains curve around this house on the right then up over another busy main road. I was past here the other day as I was with a colleague dropping of food packages to some needy local people in apartments around the corner from here, mostly elderly holocaust survivors. 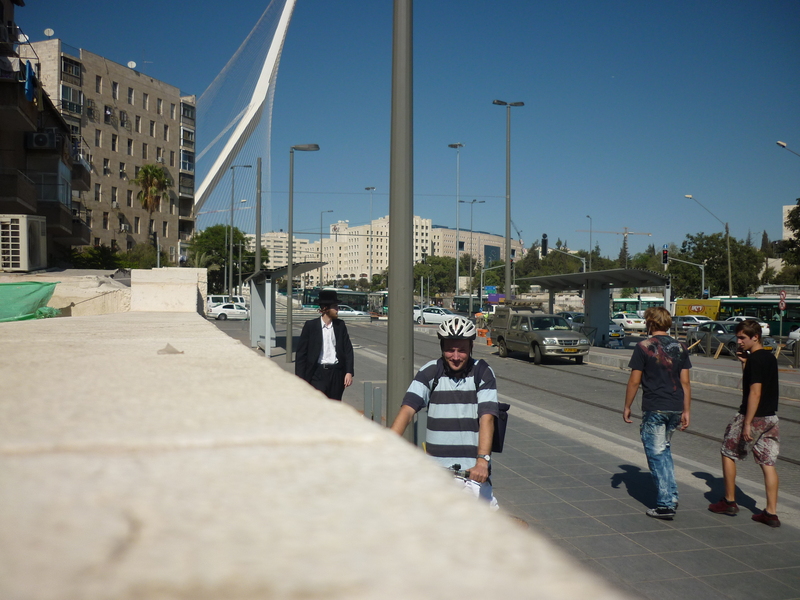 More interesting information on this modern Jerusalem monument here.